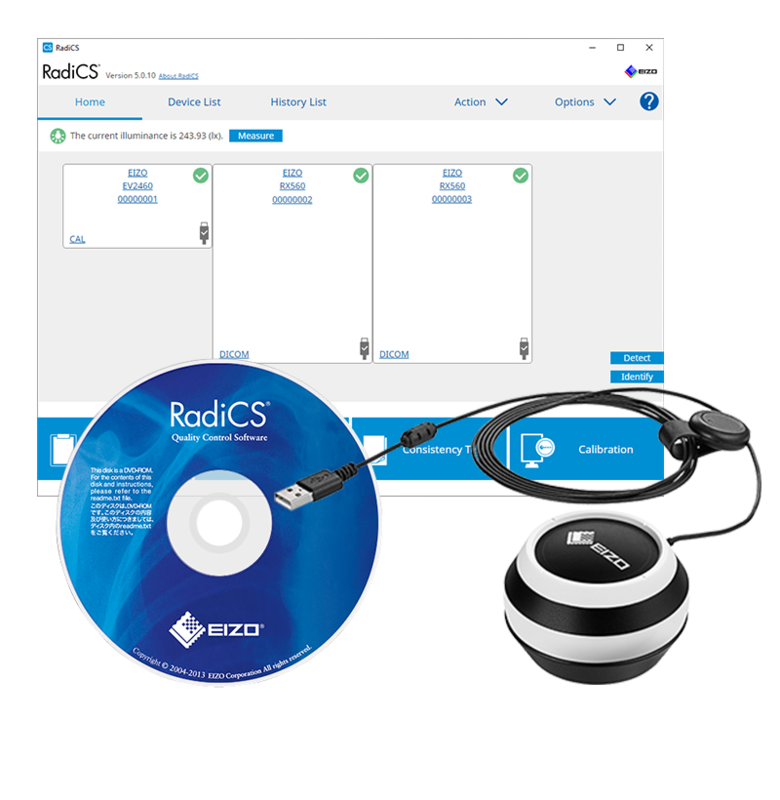 From calibration to improved work efficiency, RadiCS provides total support for the maintenance and control of client monitors. Graphical design and icons are arranged next to the text making it easy to comprehend the functions visually and intuitively. 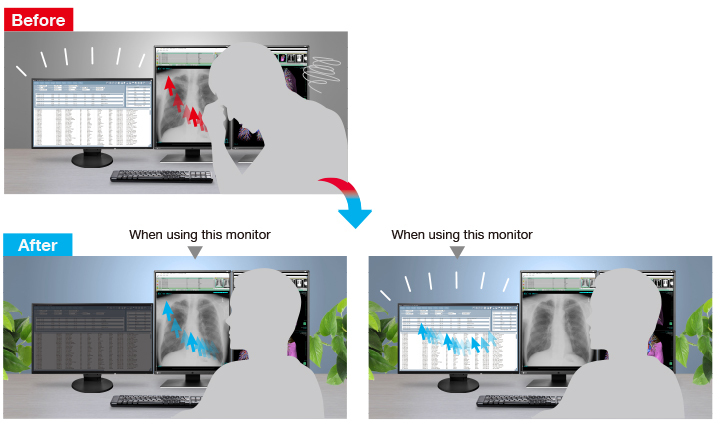 A compendium list also enables users to check the condition of monitors instantaneously. 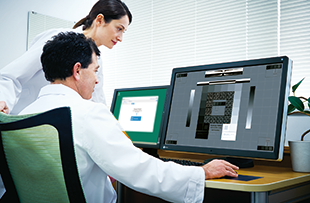 Furthermore with the intuitive on-screen wizard, you can easily complete monitor inspection and calibration. For the purpose of improving work efficiency, reducing costs, and saving space, virtual desktops are becoming increasingly common in the healthcare field. With RadiCS Version 5.0.0, all functions are accessible on client monitors from a virtual desktop infrastructure. It is necessary to install RadiNET Pro Server in order to save settings and history of individual monitors. To improve work efficiency, EIZO's unique Work-and-Flow provides various functions for providing a comfortable reading environment. These include functions such as the Auto Brightness Switch which dims the brightness of patient lists when not in use, for improved concentration during interpretation. Function availability varies by monitor model. When interpreting images, the bright screen of a patient list on an external monitor can be distracting. With the Auto Brightness Switch function, the brightness of a connected FlexScan EV-Series monitor automatically dims when the cursor is moved out of the screen. This makes it easier to concentrate on diagnostic images and also saves on power consumption. With the Monitor Power Switch function, all monitors can be turned on or off just by touching one monitor. When leaving your desk, switching off all monitors is quick and easy. This feature is limited to EIZO monitors connected via USB.